Three possible Eurovision entries have been selected in Georgia! 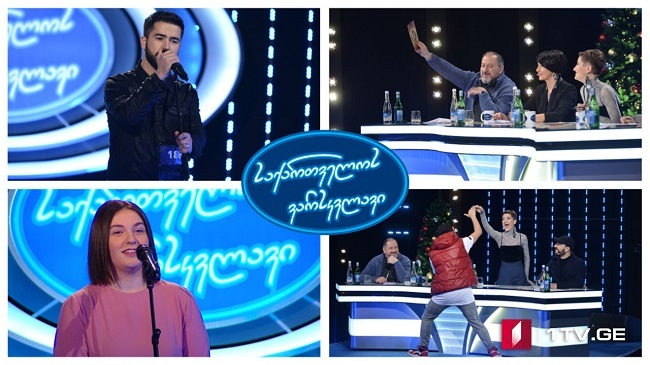 Sakartvelos Varksvlavi (Georgian Idol) is well underway and as revealed before, will serve as the national selection for the Eurovision Song Contest! During the final show, the contestants still left in the competition will sing possible Eurovision entries. Levan Basharuli – A Georgian movie and media composer who is making a name for himself in Germany. Roma Giorgadze – Music arranger, audio engineer and music producer who worked on several Georgian Junior Eurovision entries. Tamar Babilua – Holder of the national record of playing the piano for 25 hours straight! Broadcaster GPB have already revealed the Eurovision entry will be sung in Georgian. During the final, the final four contestants can choose between the three entries to sing and 100% televoting will determine who will be going to Tel Aviv, Israel to represent Georgia! What genres do you think the three selected songs are in, though? Eurovision Song Contest 2019 ticket prices revealed! Paenda’s “Limits” to be presented on the 8th of March!